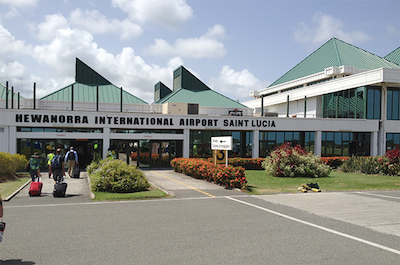 Hewanorra International Airport (UVF) is the larger of Saint Lucia's two airports. It is on the southern cape of the island, about 33 miles from the capital Castries. The airport is a major getaway to the Eastern Caribbean and the Grenadines.